Make your aquarium vividly ,add to natural color. Fish can hide and Pass through the hole and crannies within. You can follow below process to chontact us. Color:As the picture shown. Material: Polyresin. 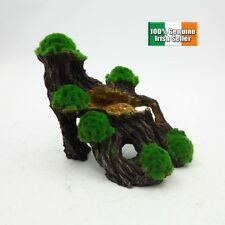 Provides swim through areas and hiding places for your aquarium inhabitants. Suitable for all aquariums and fish tanks, safe for all aquatic life. Material: resin. Note: The real color of the item may be slightly different from the pictures shown on website caused by many factors such as brightness of your monitor and light brightness. Colour: Grey. Material: Polyresin. Product Features Dispatched from: Dublin, Ireland. 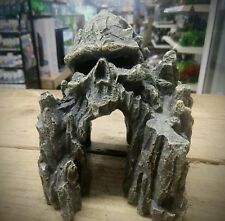 Aquarium Decor. Lots of swim through holes for small fish like tetras and minnows. 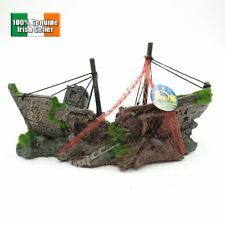 Made from poly resin, with non toxic paint, safe for use with fish and plants. Lots of detail with the number 27618 on the tail wing. 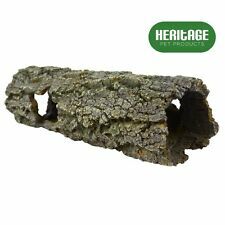 Made from poly resin and non toxic materials safe for use with fish and live plants. Detailed archway with plant effect. 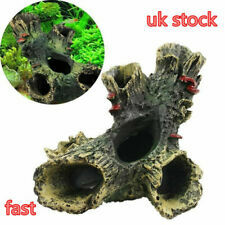 7Pcs Aquarium Resin Fake Branch Stem disc Coral Ornaments for Tank AK620 More Information Create a spectacular underwater garden of vibrant corals without the effort of caring for live corals. 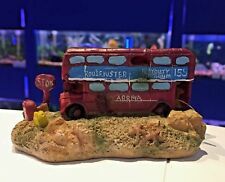 Coral Dcor Aquarium Decorations offer a great solution for aquarium hobbyists that love the look of coral reef aquariums. Please see the clearly the item's Size in the fellowing, picture is we take from the true item, but item can't as you thought to be. 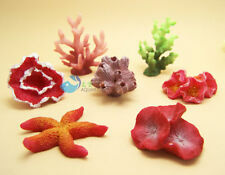 Size and weight is about: Brown-darkred flower coral: 5x4x3.3CM(L/W/H) 38g Dark red Sea star: 6x6x0.8CM(L/W/H) 18g Green Branch Coral:5x2.5x7.5CM(L/W/H) 16g Dark Red-white flower coral: 5.5x4.5x2.7CM(L/W/H) 33g red-yellow Disc coral: 5.5x4.5x2CM(L/W/H) 28g Red disc Coral:5x4x2CM(L/W/H) 23g Dark red/Brown Stem Coral: 6x3x6.5CM(L/W/H) 20g. Superfish Zen Deco Buddha Face Large. 100% safe for aquarium fish and shrimp. Suitable for all aquariums and fish tanks. Cat Products (73). Cat Scratchers (15). Totally safe for all aquatic life. Cash on collection. Bird Cages (32). 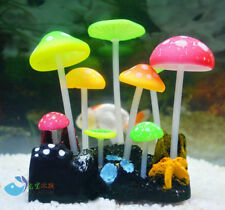 Aquarium fish tank decoration ornament soft fluorescence color mushroom Ak561. Software simulation products, non-toxic tasteless, the quality is very good , beautiful color, with the water swing it ~ there will be a fluorescent color very beautiful , the effect super good!!! 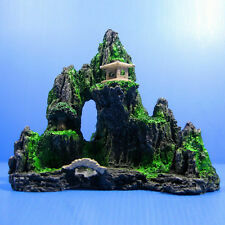 just image it, the fish tank will become shinning and children love thim especially!! Features: Soft artificial fake coral for fish tank decor Gorgeous and lifelike Nontoxic, no damage or pollution Can provide adhesion for nitrifying bacteria Great to decorate your fish tank Suitable for both fresh and salt water Size is about: 120g 9.5cmx6.5cmx9.5cm. 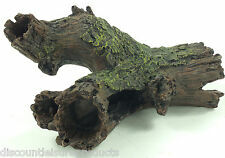 A set of striking dinosaurs which you can use to create a prehistoric atmosphere in your aquarium. 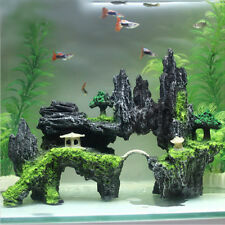 Superfish Zen Deco Temple Red. 100% safe for aquarium fish and shrimp.